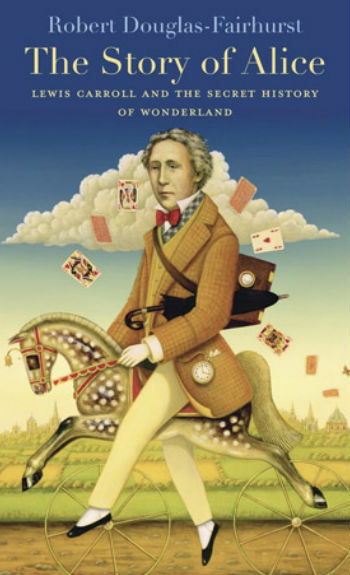 Like many of us, Lewis Carroll, born Charles Lutwidge Johnson, was a rich study in contrasts. Born to a moderately well off middle class family in the isolated Cheshire parish of Daresbury, Carroll was to all appearances a shy, studious man, more given to the pursuit of religion, mathematics and the established order of things, than wild rabbit-initiated chases through an imaginative underworld. Mark Twain described him as the “stillest and shyest grown-man I’ve ever met”, which neatly captured the social reticence of a man more given to musings on the world that he imagined existed just outside the realms of our reality. Carroll’s imaginative musings were evidence that beneath the love of order and an avowedly conservative disposition and social outlook, was a man who had held onto childhood long past his peers and delighted in subverting the very things he held so dear. This picture of a man given to flights of contradictory imagination is beautifully captured in Oxford-based academic Robert Douglas-Fairhurst’s entertainingly detailed book The Story of Alice: Lewis Carroll and the Secret History of Wonderland. Beginning with a chapter on the young 8 year old girl Alice Liddell who inspired the world-famous story, which celebrates the 150th anniversary of its publishing today, The Story of Alice explores in accessible exhaustive detail the yin and yang of Carroll who in many other respects didn’t exactly distinguish himself throughout his life, preferring a quiet, uneventful though culturally and creatively-rich life. Except, of course, in one quite important, culturally significant respect, as the writer of Alice’s Adventures in Wonderland (1865), first published as Alice’s Adventures Under Ground, and its successor Through the Looking-Glass and What Alice Found There (1871). Here the many countervailing influences that came to bear on Carroll came to gloriously anarchic fruition, from his love of writing, of parlour games and photography, and his fascination with the way the innocence and open-mindedness of childhood soon gives way to the rationalisation and unadventurous nature of adulthood. In many ways Carroll never really left his childhood behind, asserts Douglas-Fairhurst. It evidenced itself in many ways from his near-obsession with making the acquaintance of young girls, an acceptable undertaking in the Victorian age in which he lived but one which smacks of pedophiliac overtones to our modern sensibilities – the author is quick to assert that this love of children was less sexual than “sentimental” – to his willingness to entertain the sorts of flights of fantasy that a man of his standing as an Oxford Don at august Christ Church may not ordinarily be expected to be predisposed to. It emerges again and again that Carroll adored upending the expected order of things, even as he did his utmost to uphold it. 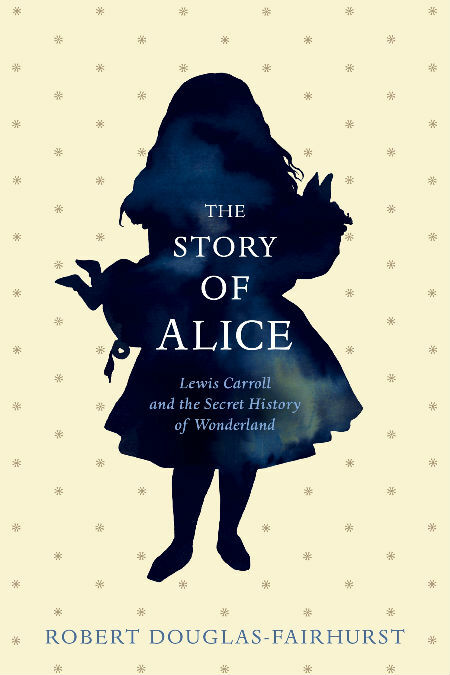 So well does Douglas-Fairhurst make his case in this regard, pulling out salient many salient details from Carroll’s life that it’s possible to understand how many of the nonsensical elements in Alice’s Adventures in Wonderland came to be. Carroll was, for instance, habitually late, always vowing in his diaries that he must do better; he was also a man who set himself an impossibly long list of interests and hobbies to pursue from learning languages to photography, of which he became quite adept, photographing Alice Liddell on more than one occasion, and pondering always how to make the real world bend to his wilder, childlike impulses. Of course, as with any biography, and the understandable lack of availability of the author himself to speak on his own behalf, conclusions must be drawn from the source material at hand such as Carroll’s diaries, some of which have been intriguingly censored by his family, and Douglas-Fairhurst does an impressive job of not drawing the bow too long in his pursuit of the man behind the insanely over the top tales of Alice. He also succeeds in helping us to understand how Alice Liddell, later Hargreaves, managed to deal with being both a real woman and the forever-trapped-in-childhood, Carroll’s vision of a perfect childhood where the mock turtle, the caterpillar and the Cheshire Cat were all manifestations of a child’s attempt to make sense of an often all too dull but complicated world.